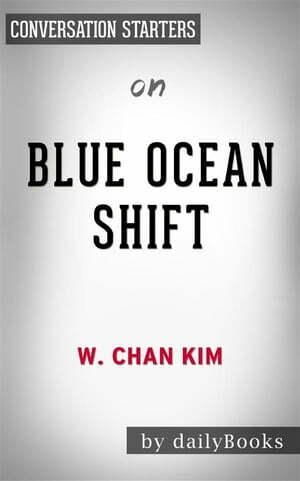 Collins Booksellers - Blue Ocean Shift: by W. Chan Kim & Renee Mauborgne | Conversation Starters by Daily Books, 9788827561959. Buy this book online. Building on the principles explored in the international bestseller Blue Ocean Strategy, this second book written by INSEAD professors W. Chan Kim and Renee Mauborgne gives detailed instructions on how to identify and tap new markets and opportunities. Blue Ocean Shift studies and compares experiences of companies which have implemented the Blue Ocean principles. It provides five important points for business people and executives to implement, and a course-of-action that is empowering for readers in the business world. The Blue Ocean Shift is in the bestseller list of The New York Times and USA Today, and is a #1 Wall Street Journal bestseller.